Treat eye injury at once with a wall mounted eyewash station. When it comes to eye emergencies, you can't waste precious time. 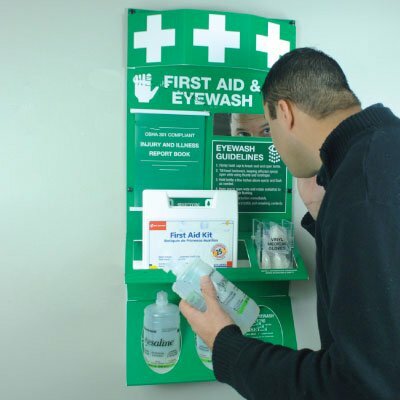 Make first aid immediately available to eye injuries by setting up wall mounted eyewash stations in your facility. Seton's wall mount eye wash stations are compact, saving you a lot of space. You can mount them on any wall with sufficient plumbing, and they are convenient and easy to use! Choose from Seton's top-of-the-line wall mount eyewash stations that meet the standards of the American National Standards Institute (ANSI). All of Seton's eye wash stations ship fast with our same-day shipping guarantee. It is a must that emergency eye care is always available in your workplace. This is where Seton's wall mount eyewash stations come in! Seton only offers topnotch products from well-known brands such as Guardian, Halo, and Bradley. 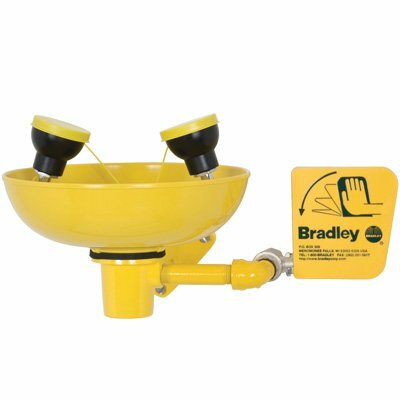 Guardian eyewash features aerated nozzles that provide a wide, gentle flow of water for effective flushing of contaminants. Halo Eyewash Wall Mount's Aquaduct self-draining design prevents pathogen growth from standing liquid. Need something that stays clean even in dusty areas? 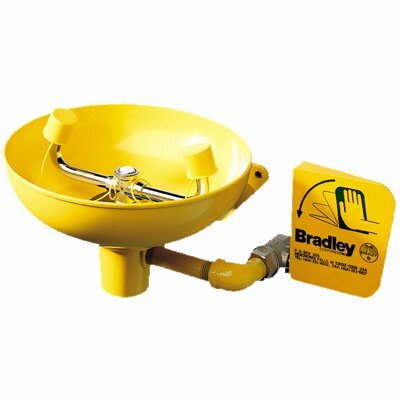 Then Bradley eyewash is perfect for your facility! It comes with dust covers that protect the eye wash station from dirt and other contaminants. It also includes a 10" dia. corrosion-resistant, stainless steel bowl, with ABS plastic sprayheads for a controlled flow. Whatever your eye care needs are, you can count on Seton, the industry leader in workplace safety.